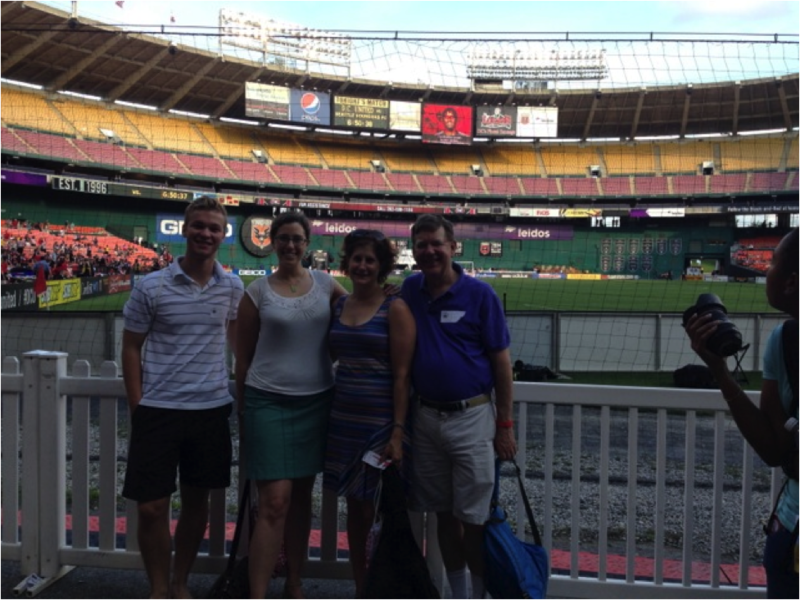 On June 28, 2014, 25 people, including ten former Pages, gathered in Washington to cheer on DC United, the local Major League Soccer (MLS) team as they played the Seattle Sounders. 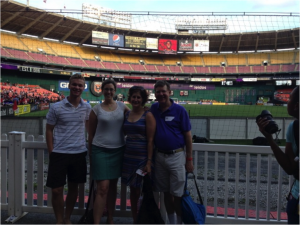 The event was hosted by Board Members Shelley Thomas, House ’90 and Ali Davis, House ’91. The day began with a pre-game social. 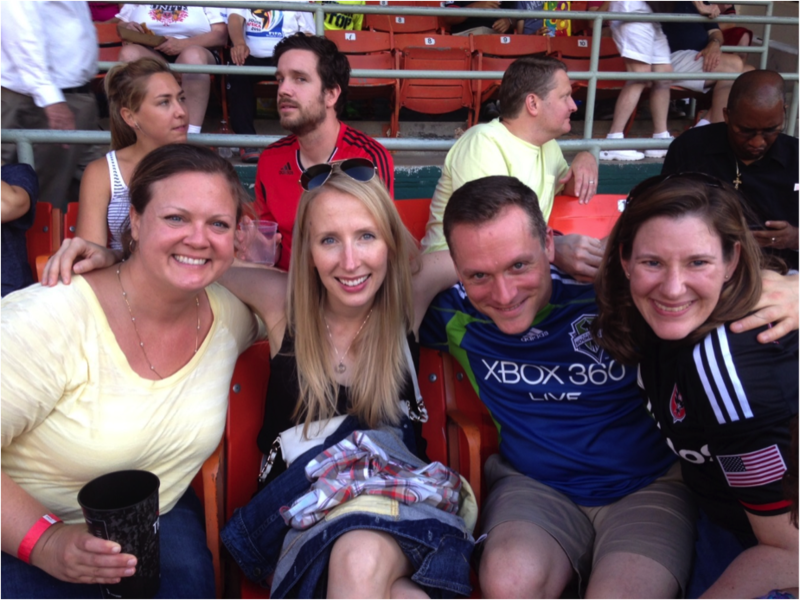 While the Sounders prevailed, we enjoyed meeting and swapping stories with former Pages and their friends from the 1950s through 2010. Special thanks to Shelley and her husband, Leroy, for having the connections with the home club, which ensured that we were well-fed and hydrated!